From May 28th to May 30th I made a pilgrimage to Orange County & Irvine, California for Meguiar’s NXTi Class (NXT Class) “Fundamental Sanding & Polishing Techniques”. Meguiar’s rarely runs specialty paint polishing, sanding, and refinishing courses of this high calibre. So with some last minute schedule changes and a leap of faith we travelled to California to meet some of the best paint correction & speciality detailers in the world. What is the Best Wheel Protection? Do you hate wheel cleaning? Want an easy to clean wheel surface? Want to use only car wash to clean your wheels? Ceramic coatings have hit the car care market and outperform conventional waxes. Optimum Opti Coat is the best wheel protection on the market. A perfect solution to the the horrendous brake dust issues found on german vehicles and high performance exotics. Liquid Finish Detailing now offers Opti Coat Pro for the Raleigh, Cary, Durham, Chapel Hill, Morrisville, Wake Forest, Holly Springs, Apex, RDU, RTP, and North Carolina Area. Two Buckets – 3 or 5 gallons. You may add grit guards help to remove grit after a pass on your paint. We recommend you purchase simple Lowe’s or Home Depot Buckets. Natural Sheepskin Wash Mitts are cheap, easy to use, and versatile. They also create a ton of suds to lubricate the surface. Car Soap – Do not use dawn or any chemically stripping car soaps. We love Optimum Car Wash since it foams like crazy and is highly concentrated. 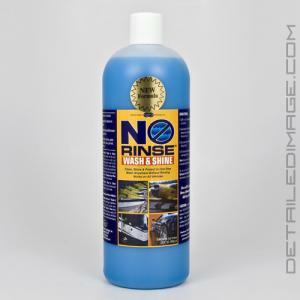 Waterless Wash & Quick Detailer: Optimum OptiClean & Optimum Instant Detailer & Gloss Enhancer for the drying phase. Pre-Treatment Chemicals: Optimum Power Clean, Stoner Tarminator, & 1Z Einszett Insekt are for grime, tar, bugs, and lower sections of a vehicle. Foaming Tools: A foam gun (or foam lance) can dramatically make your car washing fun and ensure proper lubrication on the surface. Start with your Wheels, Consult our Ultimate Wheel Care Guide. Lubricate, engulf, and gently remove dirt from your vehicle. Check the sheeting technique by removing the nozzle to funnel water off the vehicle. Washing is about prevention of damage to the finish. Embrace waterless wash and quick detailers during the drying stage to reduce water spotting and lubricate any remaining dirt. Use any quality quick detailer & drying towel. Using an air compressor or leaf blower dramatically helps. Use multiple wash mitts, one for top sections of the vehicle, one for lower grimy areas. An illustration of using the two bucket system which is key to separating your dirt and soap solution. Take note you do not need to have the fanciest grit guard or dolly system. How often should you safely wash your car? As often as you desire, it all depends on your paint protection, environment, time, weather, amount of contamination, and color. Every 2 weeks for North Carolina is a great timetable. How long does it take to safely wash your car? 1-3 Hours, even for our abilities wheels take as much time as the body. We go slower on special show vehicles, garage queens, or high-end vehicles. What’s the most important aspect of safely washing your vehicle? Frequently separating wash sections for grimy and loose dirt areas, controlling the water evaporation on your vehicle, and being careful to not instill scratches in your finish. Start from the top, work downward and reserve the worst areas (front end, side skirts, rear end) for last. What do I do about embedded dirt that won’t come off like loose dirt? Optimum Power Clean, Stoner Tarminator, & 1Z Einszett Insekt are what you spray before a detail to ensure bugs, tar, embedded dirt or mud are removed. Remember car soap removes light dirt on a vehicle, if you brush harder to remove stuck on grime this can scratch your vehicle. Absolutely lazy? Want to push the boundaries of washing with an easy to use system? Too lazy and scared that you might scratch your finish? We have Hand Car Washing & Waxing maintenance packages to maintain vehicles that undergo our specialized detailing services. Here at Liquid Finish we often get asked for the most effective wheel cleaners on the market. In our Wheel Cleaner Guide we cover the safest and most effective cleaners on the market for any professional or enthusiast. It is essential to always be safe and allow your products to dwell in the right environment. Gel foaming wheel cleaners dwell, cling, and ultimately cling to surfaces to allow for proper cleaning. The most advantageous point of gels is that they are ultra safe for all surfaces and are PH balanced. The disadvantage to gels is they create so much foam within curves and holes that rinsing takes a long period of time. Also gels are more expensive. I’d rate the cleaning strength at medium. To properly use such gel foaming wheel cleaners, its best to rinse the surface slightly to allow some liquid on the wheel. Spray the cleaner in a wide spray on the wheel, then begin to agitate vigorously.